The GenGuard Series is designed for areas where added security is required. This Series offers more durability in conditions where resistance to abusive use is of a concern. 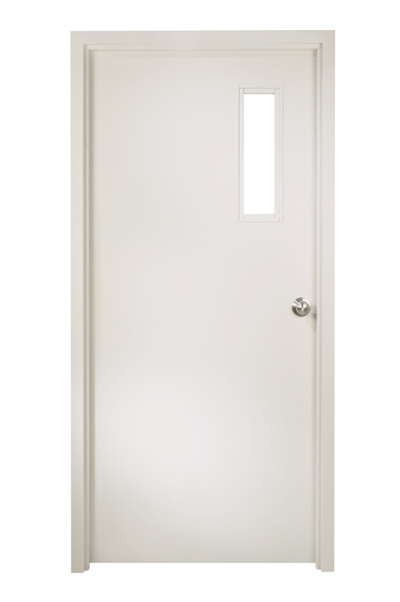 Doors are reinforced with steel stiffeners, securely bonded to each face sheet. Contrary to most products in this category, our bonded stiffeners provides a seamless face, free of unsightly welding marks. All voids between stiffeners are filled with core material. Standard doors are 1¾ in. (45 mm) thick and are available in 14, 16, 18, and 20 gauge galvannealed steel. The GenGuard Series is also available in stainless steel and G90 galvanized steel.